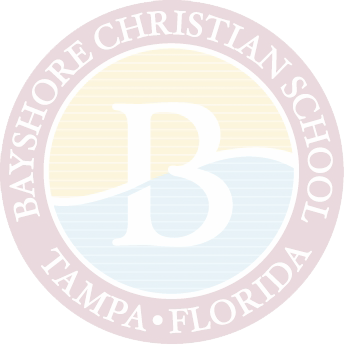 Welcome to Bayshore Christian School Upper School, home to our middle and high school students. We endeavor to develop a student with a foundation that is multi-faceted in its value, yet strategic in its focus. Our faculty and staff invest in the lives of those who walk on this campus each day and empower them to succeed. 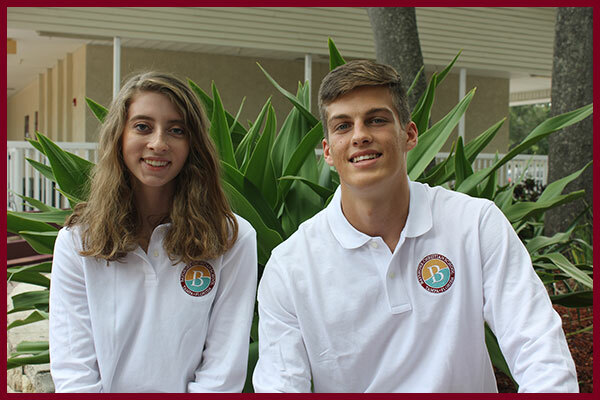 High school students at Bayshore Christian School find a standard that is challenging academically and spiritually. Students enhance core subject studies with our wide array of advanced placement and dual enrollment courses. We also offer a large selection of elective courses to serve the interest of our diverse student body. High school elective categories include advanced computer applications and technology, foreign language, journalism, visual and performing arts, yearbook, and more. For a complete listing of high school courses offered, please see the high school course description guide. As a Christian ministry, we require high school students to accumulate a minimum of 80 hours of service through a non-profit group. We also afford students the opportunity to participate in international missions work each year. ALL required courses for graduation. take one online course as required by the state of Florida. Our college preparatory courses are complemented with Honors, Advanced Placement (AP), and on-campus dual enrollment courses. We save families thousands of dollars in college tuition by presenting graduates with at least thirty credit hours of college credit. Over five million dollars in scholarship money was awarded to our students over the past five years. On average, 70% of our graduating class qualifies for the Florida Bright Futures Scholarship program. Our students benefit from a state-certified counselor who guides families through the entire college application process. We boast six honor societies and a variety of club offerings. We offer overseas educational travel and international mission trip opportunities. There are a variety of varsity sports which compete with the Florida High School Athletic Association (2A Level) and the Bay Conference (10 area private schools). We provide award-winning performing and visual arts programs. We have exceptional college and university matriculation rates.